However, he is not afraid to speak the truth! In fact, he has been quite vocal with his criticism of Democrats in general! The New York Times released an article about Hillary Clinton called “They Were Never Going to Let Me Be President” in which it was revealed that Hillary Clinton said, “they were never going to let me be president” on election night after she realized Donald Trump won. Hillary Clinton lamented that “they were never going to let me be president” on election night in 2016, a new book detailing her White House bids claims. But, we are so lucky we have conservative actor James Woods on our side. Woods wrote a couple of tweets in response to this nonsense. And they were brutal. “You couldn’t beat 1.) a dope-smoking block party organizer, 2.) a dandruff ridden old Commie from Vermont, or 3.) a reality TV host. It’s not “they” who stopped you, Honey Bunny, it’s YOU! #UnelectableHagBag” writes Woods. James Woods nails it again! Everything he says is spot on truth. He has never been what you would call mellow. He has always been a firebrand personality who walks to the beat of his own drum corp. I am glad he is turning his great mind to our side. Just imagine how awesome the world would be if there were more conservative people in Hollywood. We would have a voice. Keep on tweeting James, you have much love and support out here. What do you think of Wood’s tweets? 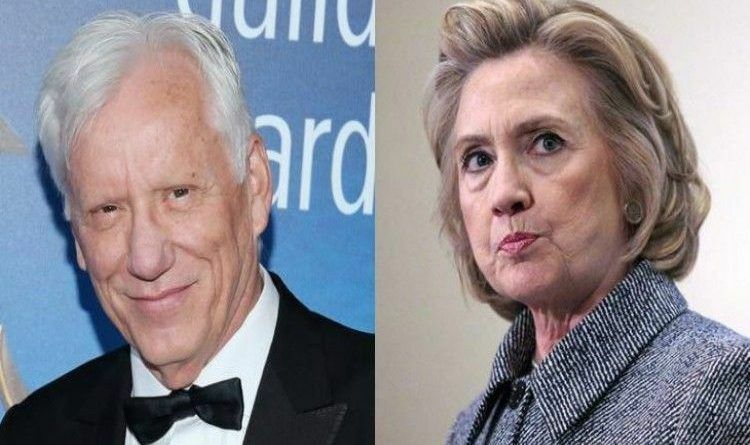 Share this article if you like the way James Woods handled whiny Hillary! Video: Michelle Lets Slip Barack’s Home Country! !